“The 12th edition of the Germán Bernácer Prize has been awarded to Prof. Nicholas Bloom (Stanford University) for his influential research contributions on the sources, dynamics and effects of policy and economic uncertainty on business cycles as well as on the determinants of good management practices”. 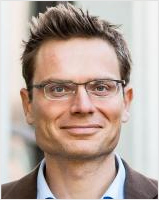 Nicholas Bloom (England) is the William Eberle Professor of Economics at Stanford University, a Senior Fellow of SIEPR, and the Co-Director of the Productivity, Innovation and Entrepreneurship program at the National Bureau of Economic Research. He received his B.A. in Economics from Univerisity of Cambridge, his Master degree from University of Oxford and his obtained in 2001 his PhD in Economics from the London School of Economics (LSE). In 2014 he won the Kauffman Medal for his entrepreneurship research in management practices, firm organization, innovation and technology and uncertainty. Also in 2014 he got the EIB Prize in Economics jointly with John Van Reenen for their academic excellence, work published and impact on public policy of their research on “Innovation, Market Structure and Competitiveness”. From 2011 he is the co-director of Productivity, Innovation and Entrepreneurship Program, in the National Bureau of Economic Research. He has published highly cited papers in leading journals like American Economic Review, Econometrica, Quarterly Journal of Economics, Review of Economic Studies, etc. The award ceremony took place in Madrid on September 24th, 2013.